Close to all amenities in West Kelowna. The home is immediately adjacent to Quails Gate Winery and Mission Hills in West Kelowna and a stones throw from the lake and highway into town. 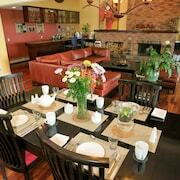 The resort is in a perfect location for doing wine tours yet is just away from the hectic pace of West Kelowna. 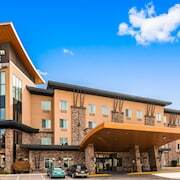 I really like this hotel, I always stay here while in West Kelowna..
Where to find West Kelowna hotels near an airport? Where can I find hotels in West Kelowna that are near tourist attractions? If you would like to book affordable or upscale long-stay or short-stay lodgings in or near West Kelowna, there are many different possibilities. Expedia features 39 hotels and apartments within a 0.1-kilometre (0.1-mile) distance of West Kelowna's downtown. 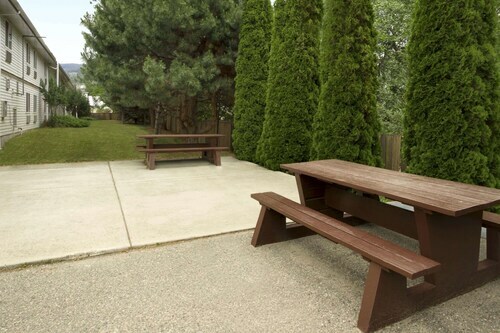 The Chez Nicole Bed & Breakfast is amongst the most convenient hotels, as it is one of only a few choices within walking distance of the West Kelowna center. The Casa Loma Lakeshore Resort and Morning Glory Bed & Breakfast are close to Safari Ridge Adventure Park. 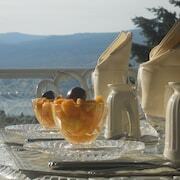 6 kilometres (4 miles) from the heart of West Kelowna, is The Royal Private Residence Club. Alternatively, the Playa Del Sol Resort is situated 8 kilometres (5 miles) away. 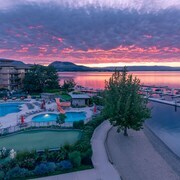 Two other hotels include The Cove Lakeside Resort and the Delta Hotels by Marriott Grand Okanagan Resort. While you are in West Kelowna, take the time to visit Thompson Okanagan's other great offerings. Thompson Okanagan offers rural landscapes, beaches and forests, and commonly visited Thompson Okanagan tourist attractions include old towns, history museums and open-air museums. Travelers in this section of Canada often enjoy snowboarding, skiing and cross-country skiing. 7 kilometres (4 miles) from West Kelowna is Downtown Kelowna, home to the Planet Lazer and SnowSkool. 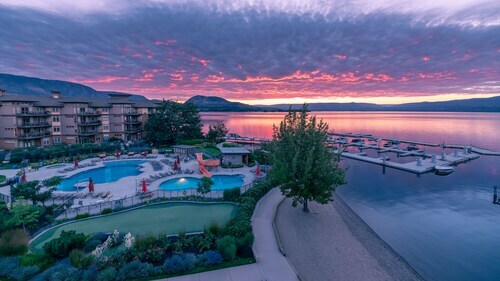 The Manteo Resort Waterfront Hotel & Villas and Coast Capri Hotel are a few of the Expedia-recommended accommodation alternatives in Downtown Kelowna. Or, you could consider staying in Southeast Kelowna, 13 kilometres (8 miles) to the southeast of West Kelowna, where you'll find the Acker Vacation Homes & Suites and Sandman Hotel & Suites Kelowna. 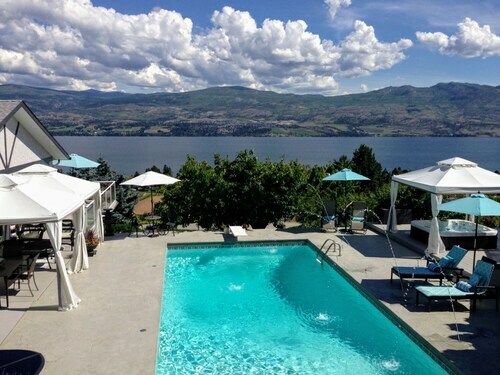 While in Southeast Kelowna, make sure you visit the SpierHead Winery and the View Winery. 45 kilometres (28 miles) to the south of West Kelowna is Penticton, a regional center with a population of 38,000, where you will find visitor attractions like the Rotary Park, the Poplar Grove Winery and Okanagan Beach. 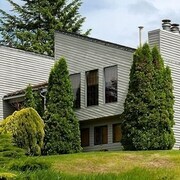 You can also explore the Hillside Estate Winery and the La Frenz Estate Winery. 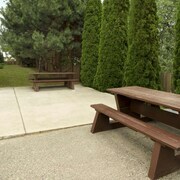 The Royal Bed And Breakfast and OK Whistle Stop Bed & Breakfast are a couple of the accommodation options in Penticton. 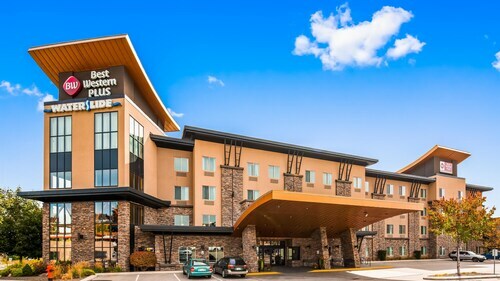 If you are flying into or out of Kelowna International Airport and would like to stay nearby, try Four Points by Sheraton Kelowna Airport or University of British Columbia - UBC Okanagan Campus. What are the most popular West Kelowna hotels? Copper Sky - The Okanagan's Best Kept Secret! West Kelowna Beach House - Vacation Dreams do Come True! Are there hotels in other cities near West Kelowna? What other types of accommodations are available in West Kelowna? Explore West Kelowna with Expedia.ca’s Travel Guides to find the best flights, cars, holiday packages and more!